One man's meat is another man's poison. Or maybe one man's fish is another man's pain in the arse! Recently Danny Fairbrass has caused a bit of a furore with his well intentioned plan to protect fisheries from otters. It's not the fencing off of waters that has caused the ripples of dissent, it was his big plan to turn the waters in to carp fisheries by removing the 'nuisance fish'. Those pesky lesser creatures which take carp anglers bait. You know the sort o thing, double figure tench and bream, three pound roach. That kind of pest. 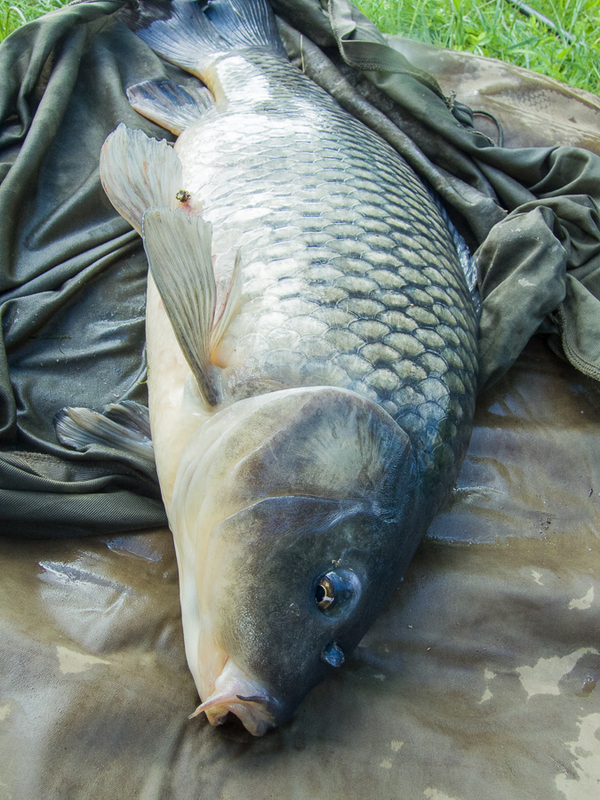 Leaving aside the ecological stupidity of creating carp monocultures (why not stick the carp in swimming pools if that's all you want to catch?) it is also condescending to anglers who like catching double figure tench and bream and three pound roach, doing nothing to foster the age old concept of 'brothers of the angle'. 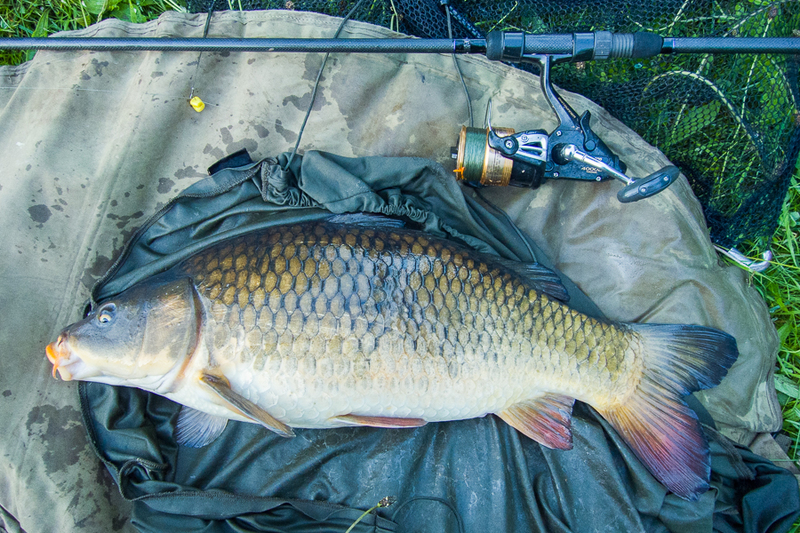 Today I was plagued by 'nuisance fish' and now completely understand the carp only mindset! Arriving when it was just light enough to tie a knot without the illumination of a torch my first task was to put some feed out to a couple of spots within catapult range. This time I had no maggots so the feeder rod was out of the question. Two grains of plastic corn went to the right, an 8mm crab pellet to the left. On the third rod I opted to chance a couple of dendrobenas. It was a risk, but it might have a chance. With everything in place all I had to do was relax and wait for the tench to arrive. It was a great morning to have got out of bed for. A large bat flew over and round as the sedge warblers and chiffchaffs joined in the dawn chorus. The sun began to poke its head over the horizon sending shafts of light through the trees and mist. Small fish plipped and plopped, larger fish crashed and rolled. But no signs of tench. 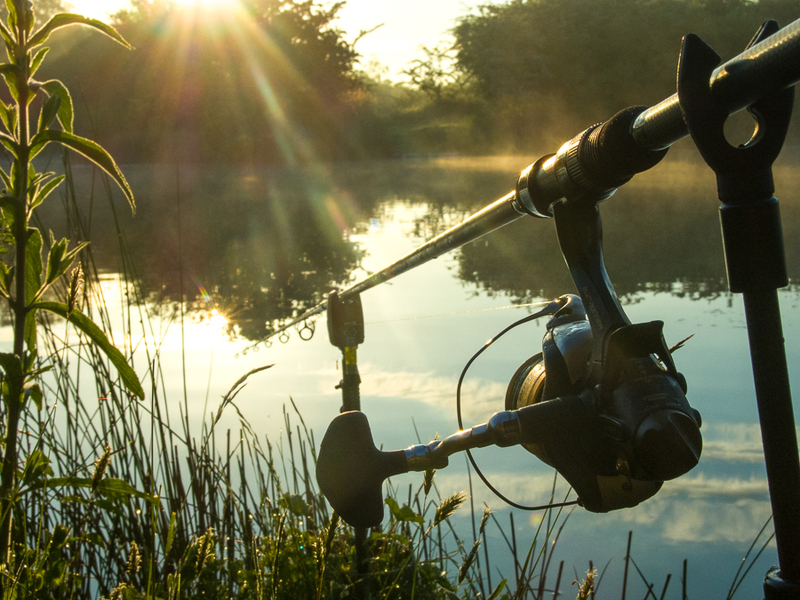 I always keep checking the rod tops and less than an hour after settling down I saw the right hand, corn, rod tip twitch a second before the bobbin dropped back flying up followed by the baitrunner and alarm complaining loudly as I headed to the rod. The fish felt like the tench of Monday, only heavier as it plodded through the weed. Then it took off on a subsurface run and raised doubts in my mind. This was either a bloody big tench for the water or it was a nuisance fish. As the fight went on my suspicions were confirmed and I stopped playing it like a tench and really gave it some stick. Once I got it's head out of the water I skimmed it into the net. At least it had a full complement of scales. I suppose it wasn't a bad looking pest, and it had given the new 11ft 2lb Torrix a good work out, but it had torn up a load of weed and no doubt spooked any tench that might have been present out of the swim. I sorted the rod out, recast and put out more feed. With the sun well up in the sky and it hot enough to strip down to my t-shirt the middle pellet rod was in action. The line tight and the reel spinning. Once more I initially hoped for a tench, but another subsurface run gave the game away. This time I took the gloves straight off. Nonetheless the pest cut up more weed and got round the right hand line before I could bundle it into the net. Not quite such a nice looking nuisance this on owing to a raw wound on its right flank. With the mess in the line cut and the rig retied I put the baits back out followed by more bait. My hopes of tench were pretty much gone by now after that disturbance and the morning getting on. When another nuisance fish brushed one of my lines and bolted off spooking another of its ilk I knew it was time to start tidying things away and getting ready to leave. They'd have bullied any tench out of the area and I had no burning desire to catch any more of the pestilential creatures. I suppose the positive from this session is the proving of the new rods. I have a good idea how much stick I can give fish with them, which is a fair bit, and know when they start to stiffen up. They're not quite in the class of the Interceptors in that respect, but they are way better than the 12ft 2lb Torrix. I think I can live with them. On the other hand I can live without any more nuisance fish. Maybe I should targeting the carp so the nuisances would be bearable!